leads to a healthy life! Welcome to Top Down Dental! Our Los Gatos dentist Dr. Nancy Nehawandian offers the following signature services. Click here to view our full list of services! Regular checkups and conservative treatments protect your oral and overall health. We offer a whole body dental experience, protecting your total wellness beginning with your smile. Sleep apnea can cause serious health problems, but a simple treatment can help. Get relief from headaches, jaw pain, ringing in the ears and other common symptoms of TMJ! 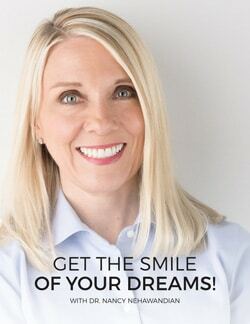 Meet your Top Down Los Gatos Dentist! We strongly believe that a dentist should focus on oral systemic health. Your mouth is the entrance to your body. By design, everything in the mouth has a pathway into your body, by breath, by swallowing, or by blood. So it’s no wonder that modern science is constantly revealing new and stronger links between oral health and overall health. A healthy mouth establishes a firm foundation for your overall health, while disease in the mouth undermines your health from all sides. 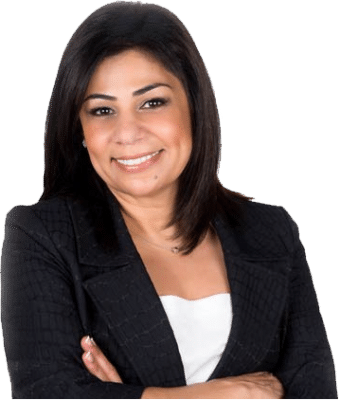 Your overall health and longevity is our top priority, and Los Gatos dentist Dr. Nancy Nehawandian is thoroughly trained on the links between overall health and oral health, and she knows when and how to work cooperatively with your medical doctor. To schedule an appointment with our dentist, please call (408) 354-5600 or email Top Down Dental today. When you visit Top Down Dental, you can count on getting a comprehensive evaluation of your oral health. To make sure we’re fully assessing you, we will perform these six screenings during every visit. 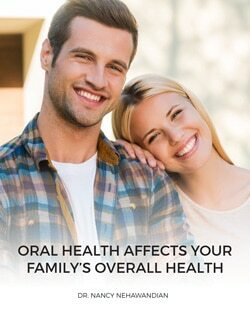 Your oral health is closely linked to your overall health. We want to make sure that oral health problems are not putting your health at risk. Early detection is critical to successful cancer treatment. We look inside and outside your mouth and throat for cancer. Most people with sleep breathing problems don’t know they have it. We check for signs that your airway may become obstructed during sleep. Your teeth and jaw need to work together harmoniously for proper health and function. We look for signs of imbalance in the system. 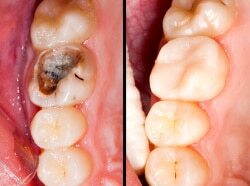 We check your teeth and any old restorations for signs of decay, wear, or damage. Early detection helps you avoid expensive treatments later. Most adults lose their teeth due to an infection of the gums and jawbone. Our exam reveals symptoms that can be hard for you to detect. Dr. Nehawandian’s focus is always on ensuring the patient’s health, and she has the education to ensure her method as a general dentist is comprehensive and contemporary. She balances this with a caring and compassionate manner that will give you an entirely different sense of what it means to visit the dentist. Dr. Nehawandian is one of only 1% of dentists in the US to be honored with a Mastership from the Academy of General Dentistry. To achieve this honor, she had to meet a demanding set of requirements involving education in all 16 dental disciplines. 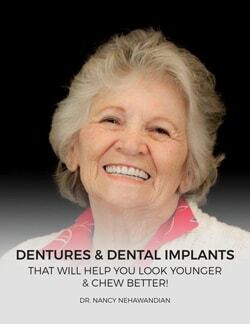 This means she is fully prepared to handle all your dental concerns, from basic prevention to the most complex restorations involving dental implants and full dentures. Dr. Nehawandian’s belief that a dentist should treat the whole health of her patient is intertwined with her training as a neuromuscular dentist. Neuromuscular dentistry is a discipline that looks at the mouth system as an interconnected whole whose components–muscles, nerves, bones, teeth, and soft tissues–must work together harmoniously to achieve proper function. When disharmonies exist, a condition called TMJ, a dentist is in an ideal position to treat the resulting jaw pain, headaches, earaches, neck pain, and other symptoms, no matter how farflung. She knows that many TMJ sufferers are not being well-served by their current doctors, and that complaints of pain are often ignored. As a neuromuscular dentist, she will listen to your complaints and take them seriously. If she can treat them, she will, but if she can’t she knows a large network of health professionals in the Los Gatos area, in both Western and traditional medicine. She will do her utmost to help you get the care you need. If you are looking for a dentist with comprehensive training and singular talent, please call (408) 354-5600 for an appointment at Top Down Dental in Los Gatos. For more than 20 years, Dr. Nancy Nehawandian has been a mercury-free dentist. Mercury is a toxic metal that spreads through the body from your fillings. Although the US Food and Drug Administration (FDA) and the American Dental Association (ADA) assert that mercury fillings, others are not so sure, and these fillings have been banned in other countries. Whether or not they are safe, metal amalgam fillings are unattractive and can damage teeth. We offer attractive, mercury-free alternatives, including composite fillings that are inexpensive and take only one visit to place, and ceramic inlays and onlays, which are the most attractive and durable restorations available. Should You Be Worried That Teeth Whitening Damages Teeth? 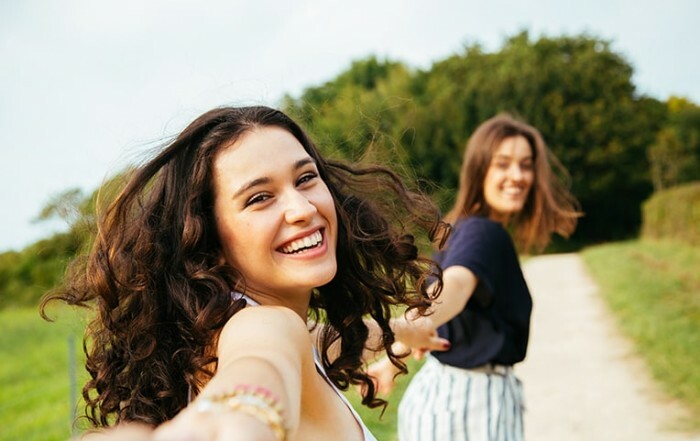 April 10th, 2019|Comments Off on Should You Be Worried That Teeth Whitening Damages Teeth? Can Car Bumper Technology Help Improve Tooth-Colored Fillings? March 27th, 2019|Comments Off on Can Car Bumper Technology Help Improve Tooth-Colored Fillings?